Lee Medical is your one-stop-shop location for high quality disposable bone marrow needles and disposable bone mills! We are a certified women owned and family operated small business that strives to guarantee efficiency and perfect customer service without sacrificing quality! The Most Trusted Name in Bone Marrow Needles for over 20 Years. Lee Medical markets a full line of disposable needles for bone marrow aspiration, biopsy, harvest and transplantation. All of our needles are designed specifically for procedures from the Iliac Crest and come in various sizes depending on the required use. Regardless of application, these single patient needles were designed for easy and efficient clinician use. 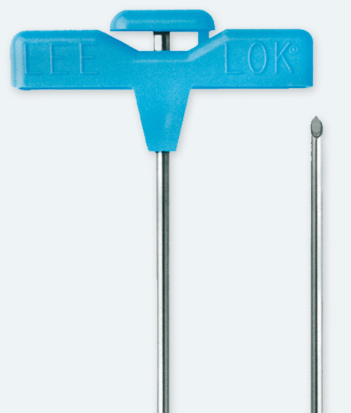 Comfortable Handle, Laser Construction, One-Piece Stylet Design, Versatile Size Options, and Sterile Packaging – whatever your needs are, our LEE-LOK Needle can tackle them! Improving Bone Grafts, One Patient at a Time! 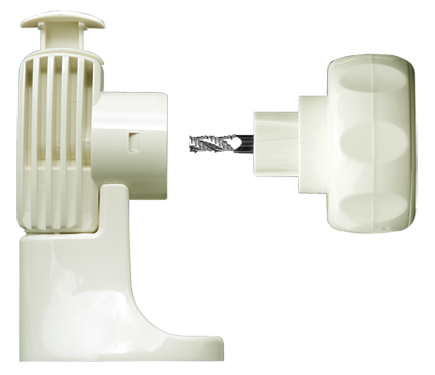 Lee Medical’s patented Bone Shark® is used in orthopedic procedures where autologous bone is required for an injury or a spinal procedure where new bone growth is needed. It can be used for spinal fusion, orthopedic reconstruction, maxillofacial procedures, restorative dental implants, small bone surgery, and ear, nose, and throat surgery (ENT). The Bone Shark® is currently the only truly disposable product on the market today and its compact size allows it to easily fit on a sterile back table in an Operating Room. It’s Safe, It’s Strong, It’s Versatile, It’s Cost-Effective, It’s One Patient at a Time - What are you waiting for? Lee Medical 2019. All Rights Reserved. Custom Website Design by MilesTechnologies.com.